My niece turned the big EIGHT last month. Because she had a huge supermodel runway show theme 7th birthday party, her parents decided on a “small” swimming party. Her one request? She wanted her party to be themed out for One Direction! There was a quaint get-together after the actual christening. Baby Elise’s Mom and I decided to go for a simple fun and crafty ambiance at The Last Chukker in Manila Polo Club. Here are some snapshots of how we set up the place! 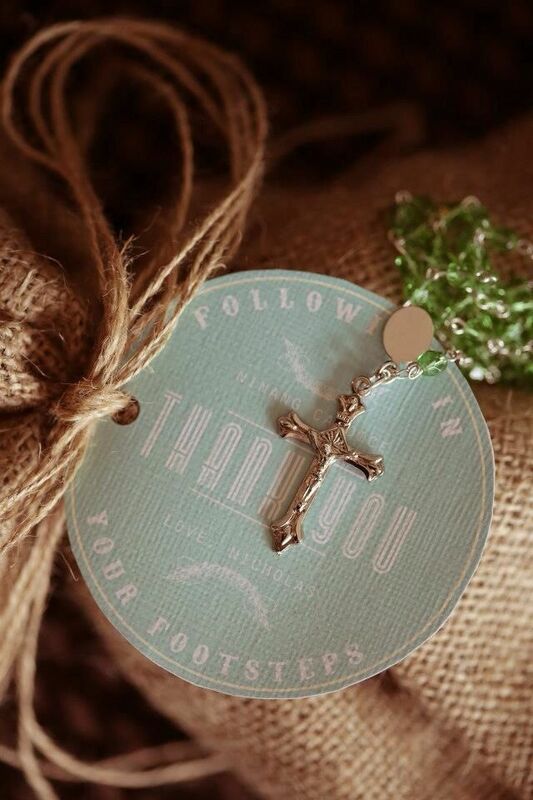 Last year, Mommy Sam contacted me to assist her with some items she needed for her baby’s baptism. When we met up to talk about what she needed, I said YES without even thinking twice. 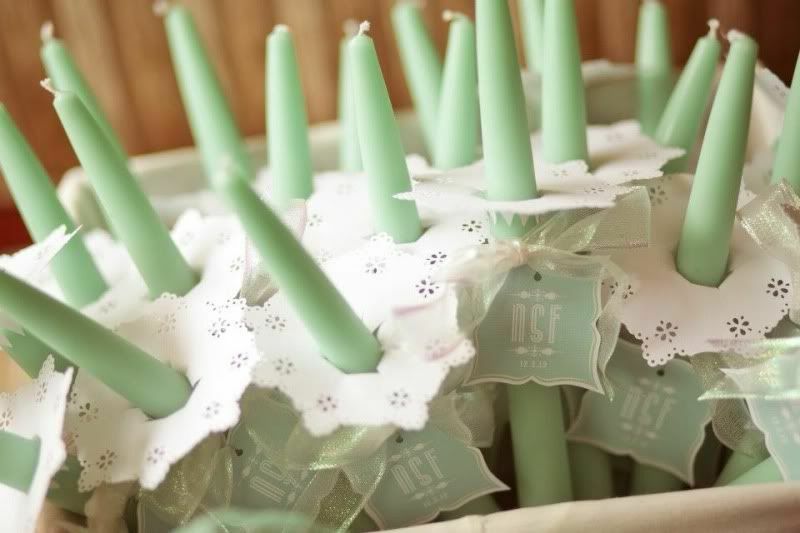 She got these beautiful aqua candles that I decorated with handmade paper doily wax catchers, and shimmery ribbons. 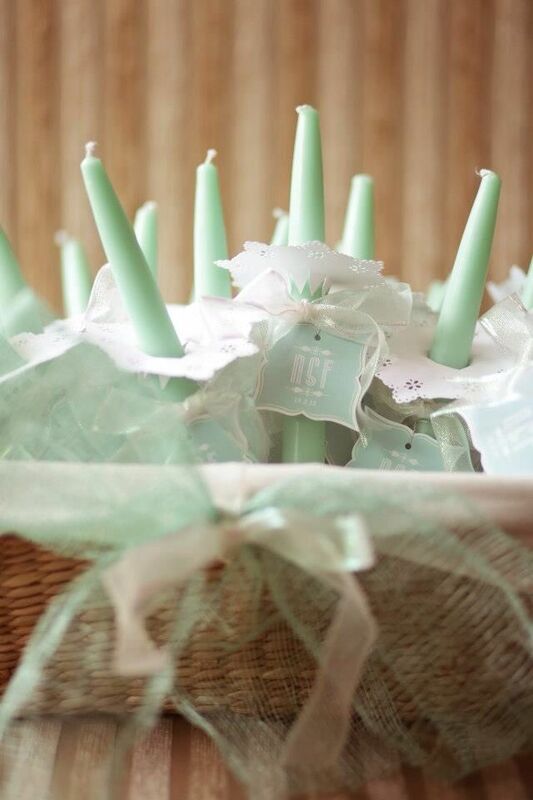 I dressed up the candle basket with some aqua/turquoise and brown sinamay as well. Mommy designed the tags, so all I had to do was to print and cut to size. 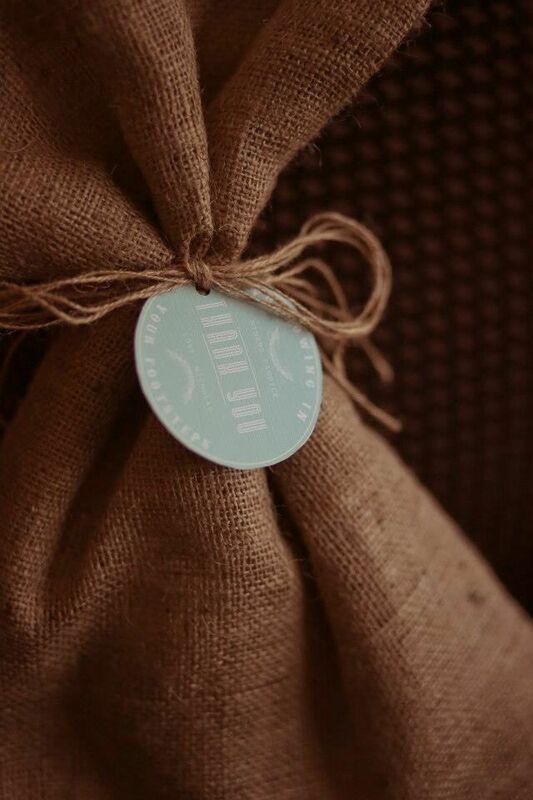 I used some burlap bags and twine to wrap up special presents for the godparents. 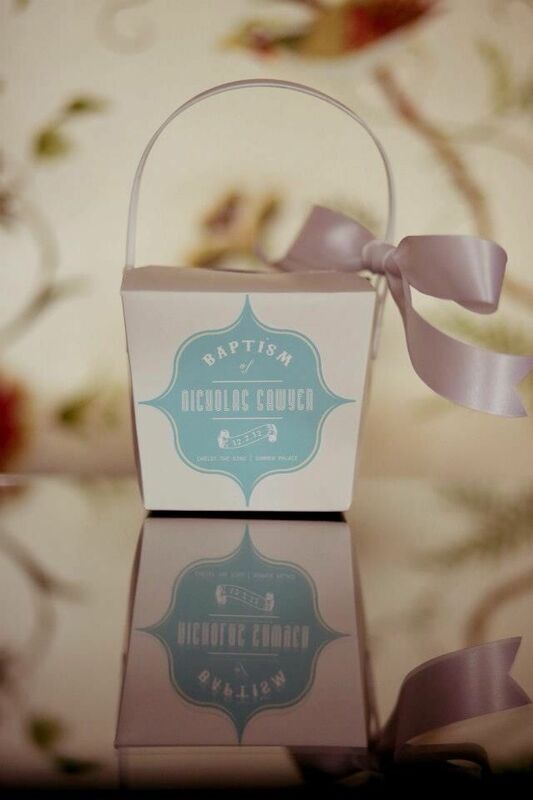 Mommy and Daddy wanted to give their guests macarons as giveaways to all the guest. 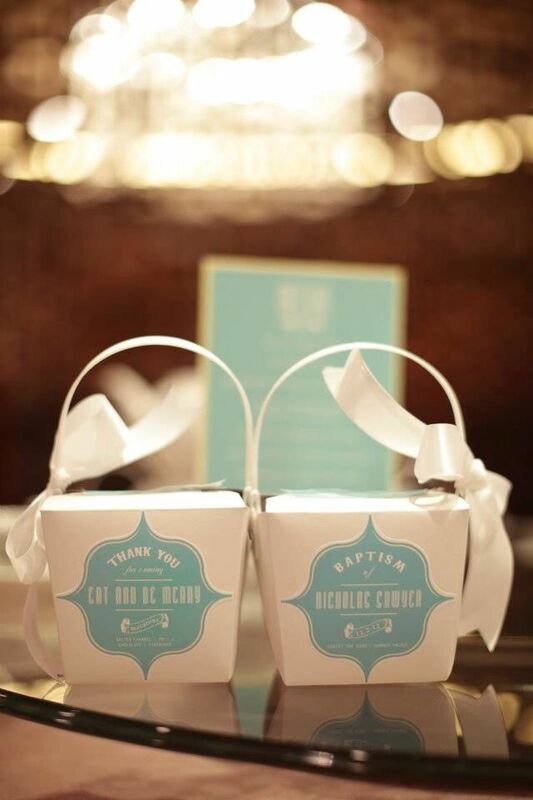 The macarons were housed in these Chinese takeout boxes. Thanks to the Fongs for getting ITryDIY for this important milestone! 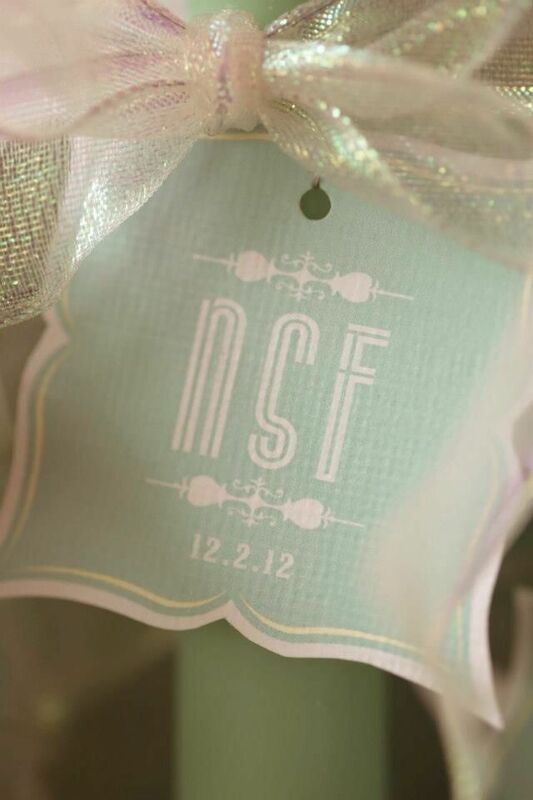 Snapshots from a Crafty Bridal Shower! When my niece asked for a model runway birthday party (inspired by Barbie and a Victoria’s Secret Runway Show, no less), my cousins and I were all over it. We just love to plan parties, and themed-out ones were the most fun to plan. The planning took weeks, numerous meetings and lots of sweat, blood and tears.